Not very interesting... 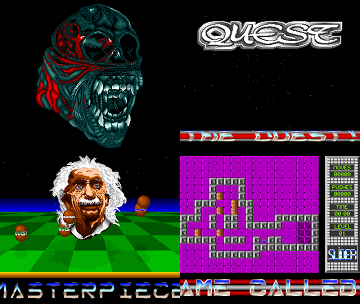 The Einstein head is the best screen, quite nice music. Hey again another version of the drunk desert demo tune. Nice look back, nothing groundbreaking though. I like this old demo! The last part which a game is quite nice too. A WHDLoad patch for this classic is now available. page created in 0.015112 seconds with 15 queries.